Key concepts "Sustainability", "Local" and "Sincerity". We are a small local company with 10 members of staff. 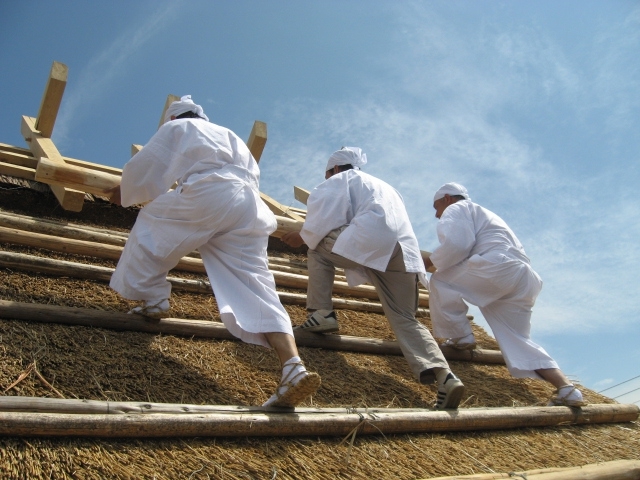 The main part of the company is thatching, and the President (Mr Haruo Nishio) is one of 50 thatchers left in Japan. As well as thatching roofs including sites of cultural heritage we offer two (soon to be more) thatched cottages for holiday rentals. 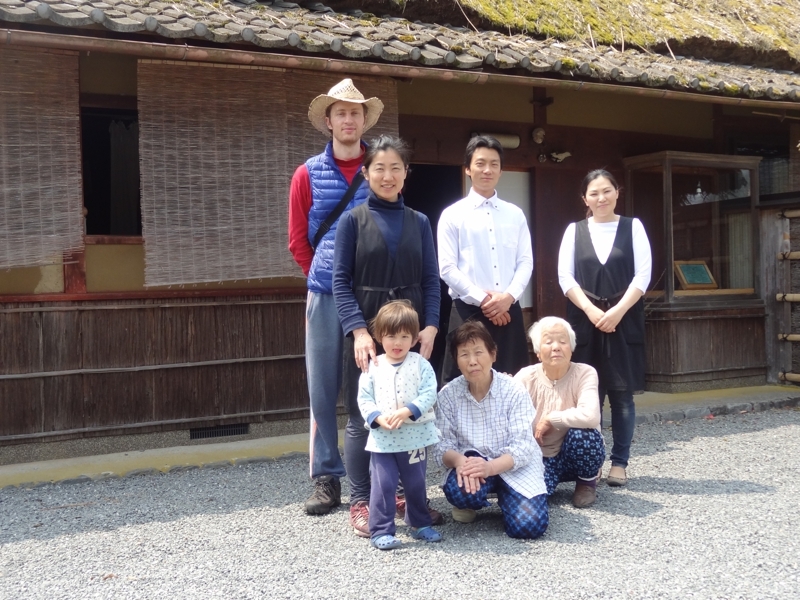 Our company prides itself on being part of and contributing to the local community here in Miyama and caring for the environment. We employ locals where possible and use local produce at every opportunity. We believe that sustainable local supplies of foods and resources is key to building a successful prosperous community. We use environmentally friendly cleaning products and do everything we can to minimise our impact on the environment. We actively participate in local river cleaning projects and are helping to promote and take part in local organic, sustainable farming. This farming is primarily not for food, but for the materials used to make thatched roofing, an integral part of our local community. 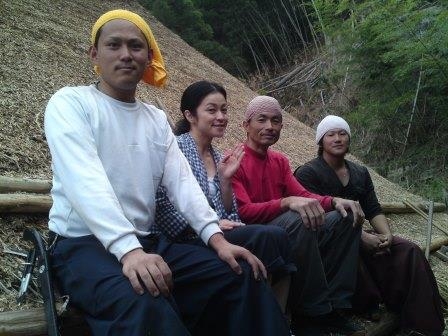 We are also working (with other local groups) towards a carbon neutral, non nuclear biomass electricity generating facility to supply the electricity needs of the Miyama region.